If you haven't heard about Whirlscape's Minuum keyboard, you're missing out, because the idea is a compelling one. Most alternative keyboards for Android aim to help you type faster, or simply come up with a completely new way to break the keyboard metaphor, and Minuum does both of those things. But, it also has its sights set beyond screens, and wants to be your text input method of the future. Minuum on Android will be a simple single-line keyboard that runs on either your phone or tablet to let you input text quickly. But, the idea is that the design of the keyboard should extend to wearable devices. For example, the keyboard could be projected on your arm, or on a table to let you type. The keyboard could also be used on a gaming console for much easier text input with a gamepad. 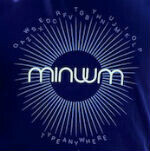 Minuum raised its initial funding on Indigogo, and is now ready to launch the beta version of its Android app today. If you want, there is a sign-up on the website to be part of the beta. Does this really work? I don't know, if i don't want to autocorrect my messages, that would be a huge pain in the whutwhutinthebut. This is why i came to Android... New stuff all the time.